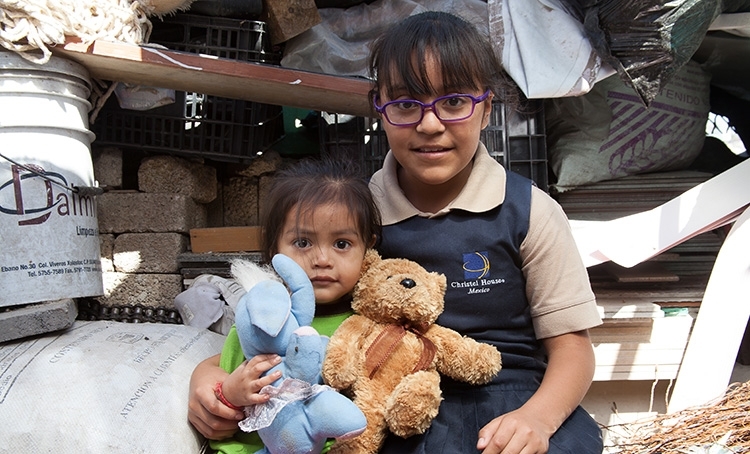 Azul, her mother, sisters and extended family of 19 all live in a cramped, two bedroom house. Their gang and drug infested neighborhood is not a safe place for children to play. “We don’t go outside after dark,” says Azul, who has been a student at Christel House Mexico for 6 years. Christel House social workers and psychologists have been a tremendous support to the family, especially in the aftermath of her mother’s illness. Azul, age 12, is taking care of her two younger sisters while their mother battles cervical cancer and the effects of chemotherapy and radiation treatment. Thanks to the support and love given to Azul by Christel House Mexico, she remains positive and optimistic. An excellent student with a GPA of 9.1 (out of 10), she envisions a bright future. Watch to hear Azul discuss her favorite things. Support a child like Azul today.